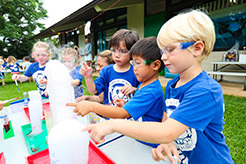 Le Jardin Academy is the first school in Hawaii to offer the full International Baccalaureate continuum. 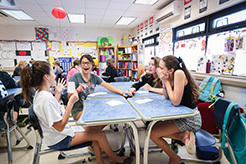 LJA is a nurturing, vigorous learning community. 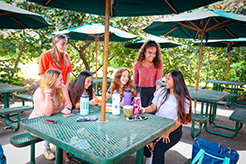 Our college preparatory program strives to create curious, active learners who excel scholastically and have the opportunity to develop their skills and talents. 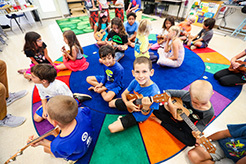 Students are supported in learning to lead balanced, healthy lives, to appreciate the arts, and to value the diverse perspectives of other people and cultures. Our goal is to develop knowledgeable, responsible and caring young people of character who help to create a more peaceful and sustainable world through understanding, stewardship, and respect. All positions-must be authorized to work in the United States. 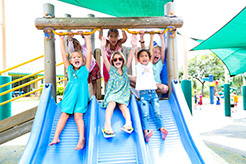 Le Jardin Academy values diversity and seeks talented students, faculty, and staff from different backgrounds. The School does not discriminate on the basis of race, ethnicity, gender, sexual orientation, creed or national origin in the administration of its admission, tuition assistance, employment determination, or its other procedures or programs. MS/HS Counselor Long Term Substitute - Full-time (2019-2020 school year (August through December)). Read more about MS/HS Counselor Long Term Substitute - Full-time (2019-2020 school year (August through December)).